United Continental Holdings, Inc. (UAL) today announced that Scott Kirby has been named president of United Airlines. In this newly created role, Kirby will assume responsibility for United’s operations, marketing, sales, alliances, network planning and revenue management. Kirby’s appointment is effective immediately and he will report to Oscar Munoz, United’s CEO. Kirby joins United from American Airlines, where he held the title of president since the merger of American and US Airways in 2013. Kirby is a well-known industry veteran, with a broad and accomplished three-decade airline career with senior leadership roles at America West and US Airways, where he was named president in 2006. 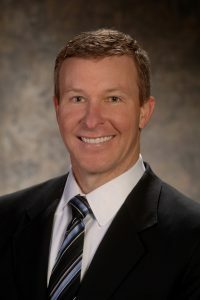 Kirby started his career at the Pentagon and in the technology sector and earned bachelor degrees in computer science and operations research from the U.S. Air Force Academyand a Master of Science in operations research from George Washington University.